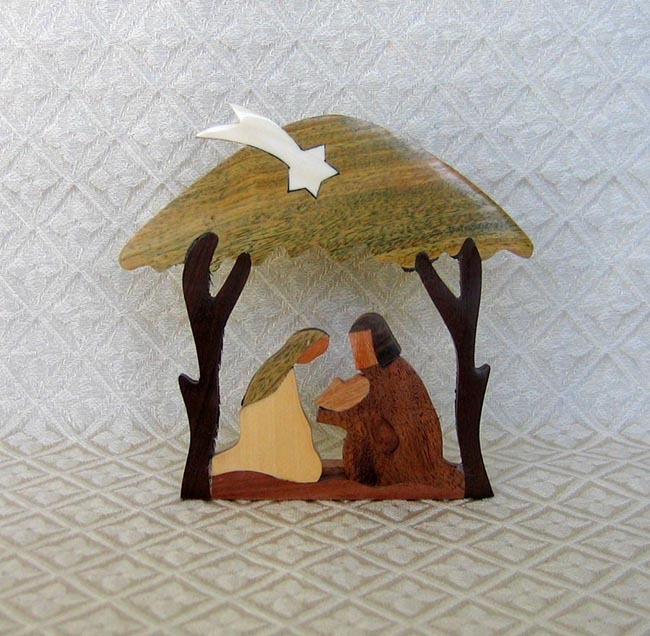 Beautiful shades of environmentally friendly woods are used by Wichi Indians to make this plaque Nativity scene. The scene features the Holy Family in a stable. The item was handcrafted by young, at-risk urban artisans. The item is distributed by Siwok Crafts in Argentina. The plaque measures 5 inches wide by 4.75 inches tall.